The Salem College Choirs make school history this summer as the first choir ensemble from Salem to perform on an international stage. The group, made up of the Salem College Chamber Choir, Chorale and SuperTonix under the direction of Dr. Sonja Sepulveda, traveled to the island of Syros, Greece, to perform in the annual Festival of the Aegean, held July 7-21. The group performs Verdi's "Requiem" on July 7-8 at the Apollo Opera Theatre. This is the second major performance event for the choirs this year. 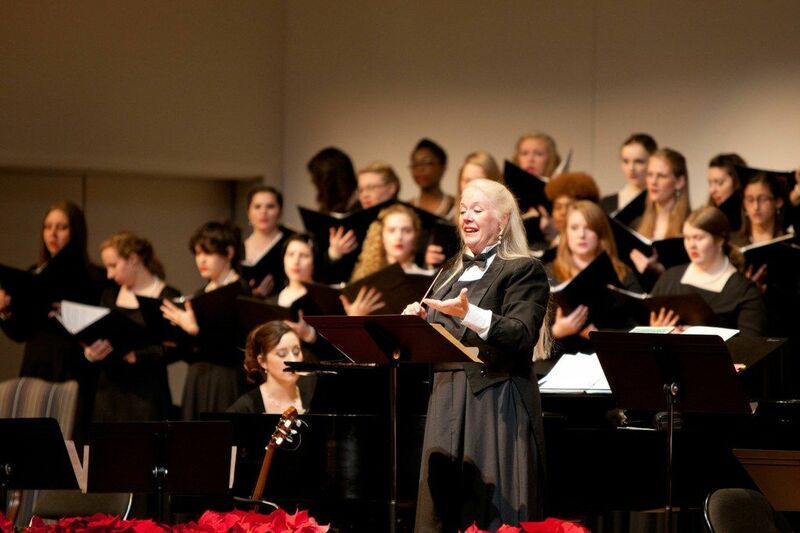 In March, members of the choirs performed at the American Choral Directors Association National Conference in Dallas, Texas, as part of the Palmetto Voices, a choral group comprised of Dr. Sepulveda's present Salem College Choir students, as well as her alumni singers from several other institutions.